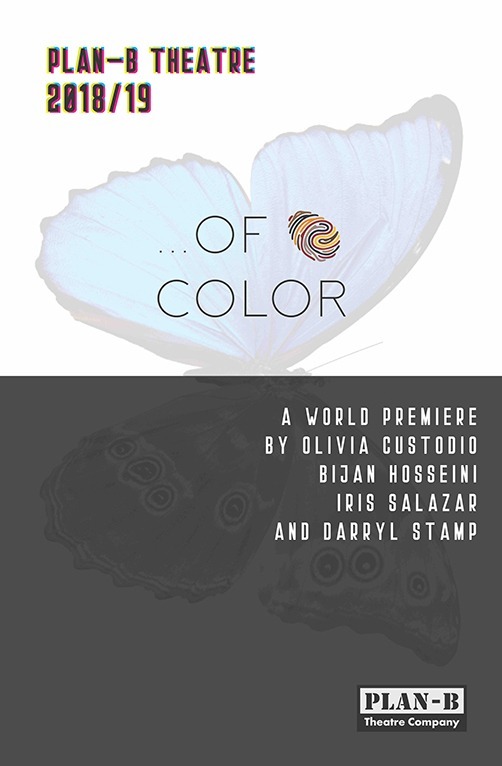 Department of Theatre Performing Arts Design Program alumna, Iris Salazar premiered her play, American Pride as one of four short plays that comprised “…Of Color” at Plan-B Theatre Company in March, 2019. 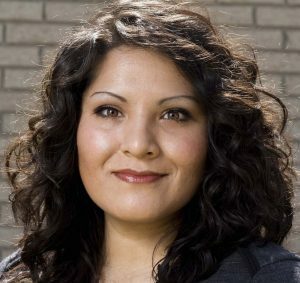 Playwright Iris Salazar was born in Gomez, Palacios, Durango, Mexico. She has lived in Salt Lake City since she was eight months old and became a citizen in 2000. A member of Plan-B’s Theatre Artists of Color Writing Workshop, she makes her playwriting debut this season with a very, very dark comedy about making America great again: “American Pride” is one of four short plays that comprise …OF COLOR, premiering in March of 2019. I knew when I signed up for the Theatre Artists of Color Writing Workshop that I wanted to write a piece that reflected my political thoughts. I am not a politician, and I have never been able to articulate or debate politics in any way. I went through a torrent of emotions as I watched Donald Trump attack groups of people and brag about his sexual predatory behavior during his campaign but I naively believed that we would never allow this man to preside over our country. My disappointment, anger, and sadness were far too large to measure and simply get over as some would suggest. I found myself posting everything anti-Trump that I could post on social media. In the process, I discovered that people who I knew, went to church with and even admired were supportive and defensive of this individual. One day I saw a picture of an acquaintance on social media standing next to Mike Pence. She is an educated, well-to-do and respected Christian Lady. She studied politics, is in-the-know when it comes to political policies and she is persuasive. That picture was the beginning of my short play. As a person of color, I didn’t think I could write a play about white racists, but white people write about people of color all the time, and not always in a good light. So I took what I saw and created “American Pride.” This was not only a fantastic writing workshop for artists of color but, on a personal level, it was a way for me to work through my emotions surrounding our current political state.